I have been intrigued with motorcycles since I was a kid. 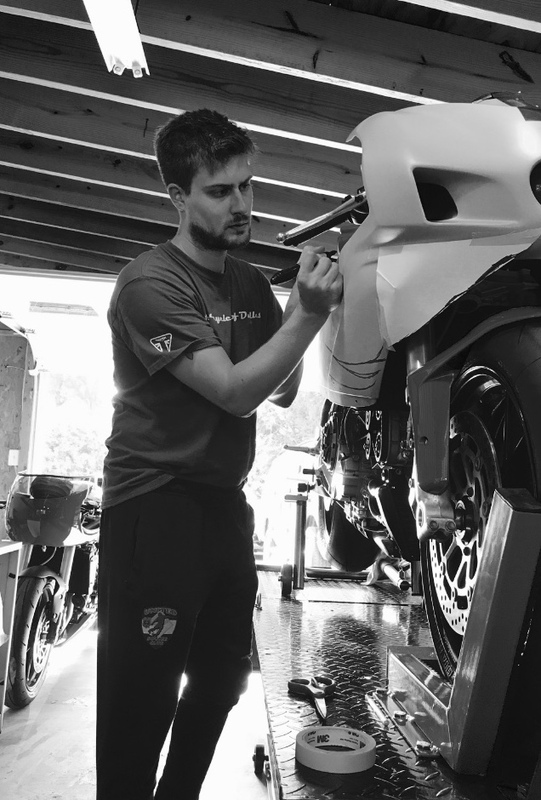 Combined with that fascination was a desire to modify that bike into a lighter weight, better handling and more focused experience for the rider. Having studied fine arts/design in college, I realized that designing motorcycles would allow me to use creativity to merge functionality and flair. My first build has been the Triumph Street Triple 675, 2011, named Super 675. I went to lengthy measures to take off a good amount of weight. The concept of this particular build embodies the spirit and beautiful design of the 1970s GP bikes, of which I am very passionate. I have always loved the curvaceous front fairings of these vintage race bikes. My mission for Jett Design Garage is to continually create beyond the ordinary…stay tuned.